A man sentenced to 10 years in prison after pleading guilty in a drunk driving crash north of Toronto that killed three young children and their grandfather will be eligible to apply for day parole next month. Parole Board of Canada hearing scheduled for Nov. 7 at facility in Gravenhurst, Ont. 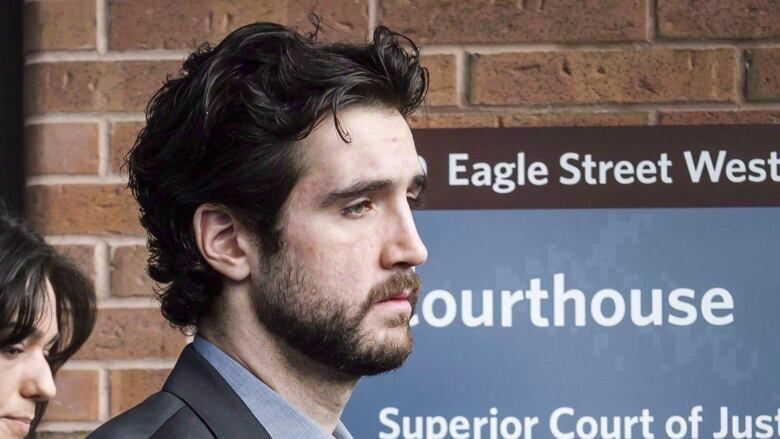 Marco Muzzo was sentenced in March 2016 in connection with the crash that killed nine-year-old Daniel Neville-Lake, his five-year-old brother Harrison, their two-year-old sister Milly and the children's 65-year-old grandfather, Gary Neville. The children's grandmother and great-grandmother were also seriously hurt in the September 2015 collision in Vaughan, Ont. Correctional Service Canada says Muzzo will be eligible for day parole in November, full parole next May and statutory release on June 18, 2022. A hearing before the Parole Board of Canada is scheduled for Nov. 7 at a facility in Gravenhurst, Ont., though Muzzo has the option of waiving or postponing the hearing. The crash made headlines across Canada and prompted several candlelight vigils to remember the victims and show support for the Neville-Lake family.